Halstensgard, who also serves as MTP production manager, plays dowdy wallflower Lenny and opens the play pathetically trying to light a candle in a cookie for her 30th birthday. Poor Lenny is the only Magrath sister who hasn’t fled the family home, staying to care for their stroke-stricken old Granddaddy, and because in part her deformed ovary. 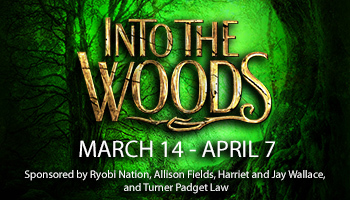 The youngest and prettiest sister Babe (played by Emilie Bracchitta) shoots her lawyer/politician husband Zachary and has an interracial affair with a teenager; and the free-spirited Meg (played by DeAnna Gregory), is back from Hollywood after a nervous breakdown and failed music career. 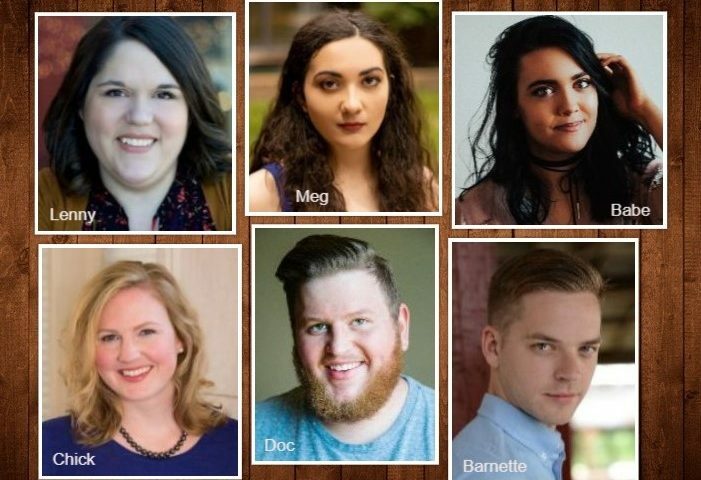 The play also stars Mary Katherine Sosebee as the nosy, cousin next door, Chick; MTP regular Aaron Pennington as Meg’s old flame Doc Porter; and Kyle Thompson as Babe’s nerdy young defense attorney Barnette Lloyd. Halstensgard is a teacher at Brea High School and will be directing the upcoming MTP youth production of “Seussical Jr.” in February. WHAT WAS YOUR FAMILIARITY WITH “CRIMES OF THE HEART”? KH: It’s one of those plays I remember from doing theatre in high school. It’s one of those plays that people always did monologues from for auditions and class, particularly Babe’s speech about making lemonade after shooting her husband. I just felt like I saw that scene so many times in high school. It was an iconic piece of literature on my brain but I had actually never performed it or seen a full production before. SO WHAT IS WRONG WITH LENNY’S OVARY? KH: This is a condition that is not explained by playwright, though I made the choice it was premature ovarian syndrome. IS IT MY IMAGINATION, OR DOES THE CAST SEEM YOUNG? Halstensgard is also the only sister that is the same age of her character. Like Lenny, she will be 30 in April. Bracchitta and Gregory are a few years younger than Meg’s 27 and Babe’s 24, but the ladies pull it off. ARE YOU GUYS ANYTHING LIKE YOUR CHARACTERS? KH: Playing this character has almost been cathartic for me. I may sometimes carry similar baggage of not having enough people in your life, or feeling alienated or insecure. We are not exactly like our characters but we almost fall into that rhythm of those characters when we’re together. It’s an interesting dynamic that inter-relates to the play and we have a lot of fun together. IS “CRIMES OF THE HEART” A CHICK PLAY (LIKE A CHICK-FLICK)? KH: “Crimes” is a dark Southern comedy, the crux of the action is with female characters, but it’s not geared toward a certain gender type. The characters are so fundamentally flawed but so relatable. WHAT IS MS. HENLEY TRYING TO TELL US IN “CRIMES OF THE HEART”? KH: There is not a clear-cut moral to the story. It really is a celebration of family and the value of those relationships. Family can be the most abusive relationships, but also the most liberating (such as Lenny’s defiance with Chick at the end of the play). Perhaps, relationships have the power to hurt or to heal.